(to Satan) If you're not sexually attracted to someone, then you're not ever going to be. But Saddam isn't right for you either, he's the other extreme. You should try spending some time alone, find the middle ground. That's what I do, because I'm a Buddhist. 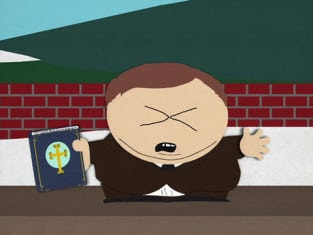 South Park Season 4 Episode 10: "Probably"
Satan: I just don't know which one to pick. God: Now you've become dependent on relationships.